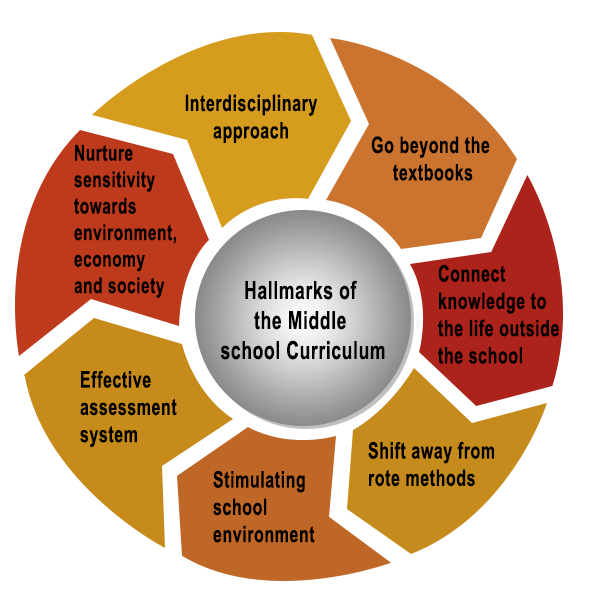 Middle Years Curriculum at Birla Open Minds International School- Middle School Curriculum amalgamates the curriculum of all the boards seamlessly and it is the major reason behind its uniqueness. In the middle School curriculum, we begin teaching separate subjects, but integration and interdisciplinary teaching approach continues to take place wherever appropriate. The approach in the middle school years continues to be student-centric where the onus of learning shifts from the teacher to the student. The methodology is constructive, taking the child from his/her know context to the unknown, from concrete to abstract and from local to global. A wide range of innovative methods, such as, active learning, cooperative activities, inquiry and experience-based learning are used in classroom. These methods aim at developing competencies rather than mastering the given content knowledge. Our focus is to take Students away from rote learning, make them go beyond the textbooks and establish a real life connect with the information that they gather at school. The areas of learning covered within its parameter are- English Language Arts, Hindi, Third Language, Mathematics, Science, Social Studies and ICT (Information and Communication Technology).Beside the scholastic areas there are various co-scholastic areas that are a part of the curriculum and give the students the opportunity to express themselves, such as, Performing Arts, Visual Arts, various individual and team sports, Community Service Projects. Life Skills and a specialized sports programme (SPEED). SPEED programme helps to develop sports skills and creates health awareness. Exposure to team and individual sports encourage a sense of team spirit, and individual effort and accomplishment. BOMIS school follows a holistic and dynamic approach of education where, apart from scholastic and co-scholastic subjects, a child also learns about ‘soul science’ at school. The student of ‘soul science’ Will help children to deal with the different emotions, challenges, Stress, anxiety and social insecurity in life. It teaches and guides them on concepts of leadership and motivation, and how to regulate personal and school life through time management and other lessons, which have been developed through extensive research and application by our R & D team. The wide range of scholastic and co-scholastic opportunities offered helps instill in children confidence and discipline. The focus on developing communication skills helps them appreciate the value of education, as it reflects in their ability to express themselves, in addition to developing pragmatic skills. Field trips, excursions, activities, projects and presentations provide experiential learning opportunities. Dance, Fine Arts, Western and Indian Music, Yoga, speech and Drama promote holistic development. Besides communicating through language about how we perceive our world, we also communicate through actions and images to express our creative ideas. PSHE (Personal, Social, Health Education) helps students address their age specific interests and concerns, builds awareness, and promotes compassion and ethical conduct. The Primary and the Middle School approach of using experimental and student centric methodologies continue in the High School years. As we believe in assessing children on a regular basis using a variety of tools and techniques, we have Ongoing Assessments and Term End Assessments. 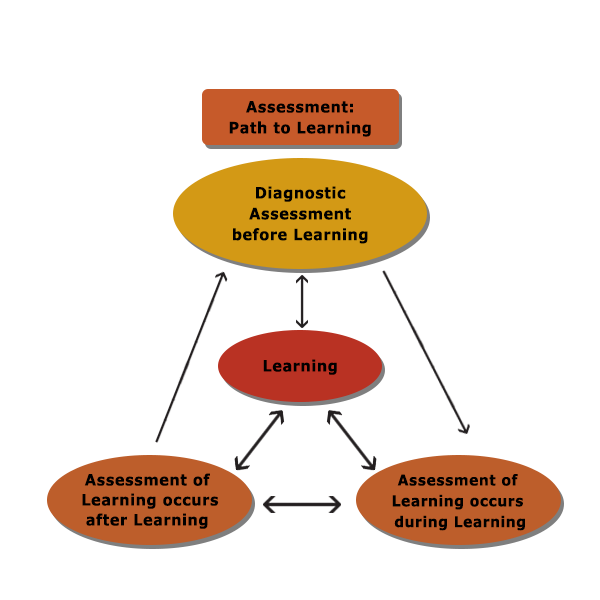 Ongoing assessment occurs regularly throughout the instructional process. Periodic tests include a range of tools like rubrics, checklists, projects, tasks, written tests, etc. Term End Assessment is a test, usually given at the end of each term. These are part of paper-pencil tests: however, they include questions which need comprehension, analysis and critical thinking. As we look at the holistic development of the child, we also ensure that no child is left behind. Research done in the learning process, learning styles and multiple intelligences are taken into consideration at every stage of designing. In this way, we hope to fulfill our ultimate goal of teaching in a way that all students will learn.